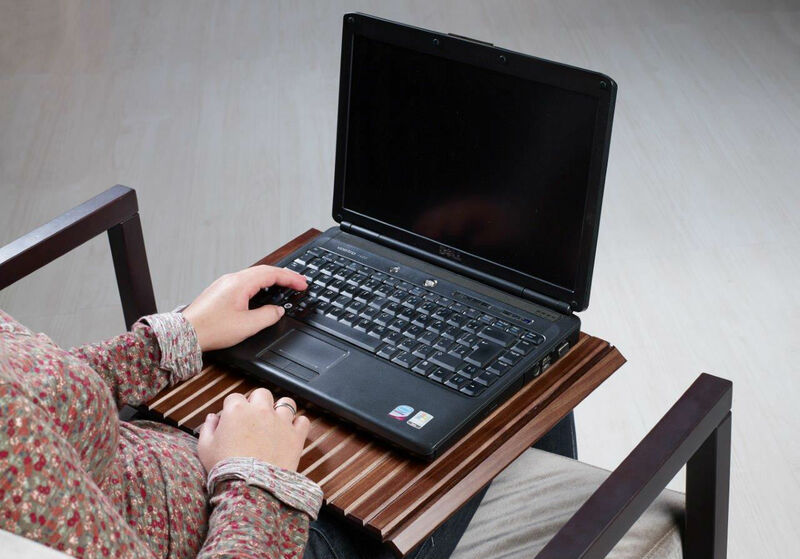 A great lap desk for those of you guys and gals out there that like sticking to the basics. Our classic model Couchmaid is sure to suit all your needs. 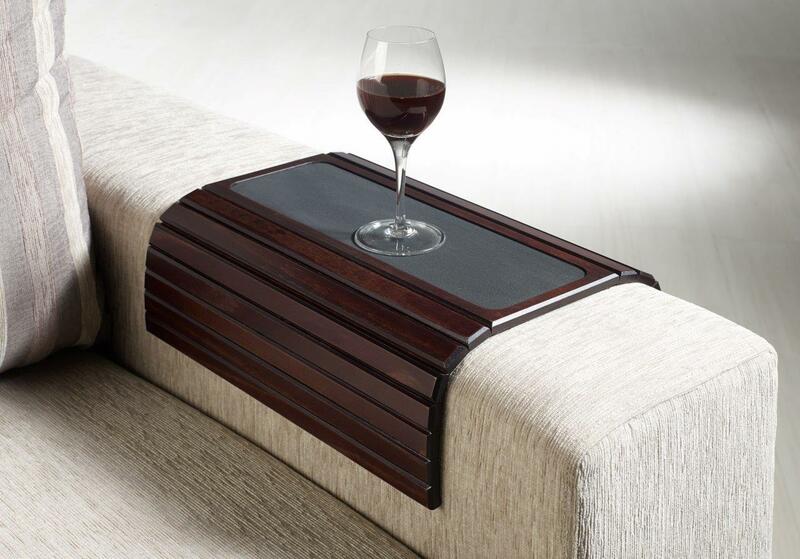 Slip it over your sofa arm as a sofa tray. Ideal for square arms. Pack it into your go bag for a lap desk and tray on the move. Even convert an ottoman into a coffee table. Comes in 3 different finishes to match your style and flair. Dimensions: Length 16.5″, Width 13.25″. Hand crafted out of solid wood, with natural gradients. A superb organizer for those of us who have trouble keeping track of the remote, our laptop, our magazines and want to have them all within reach when sitting on the couch. The Couchmaid Organizer sits right over the arm of your couch and helps organize your life for you. Slides over the arm of your couch for easy access when you need it most. Ideal for square arms. 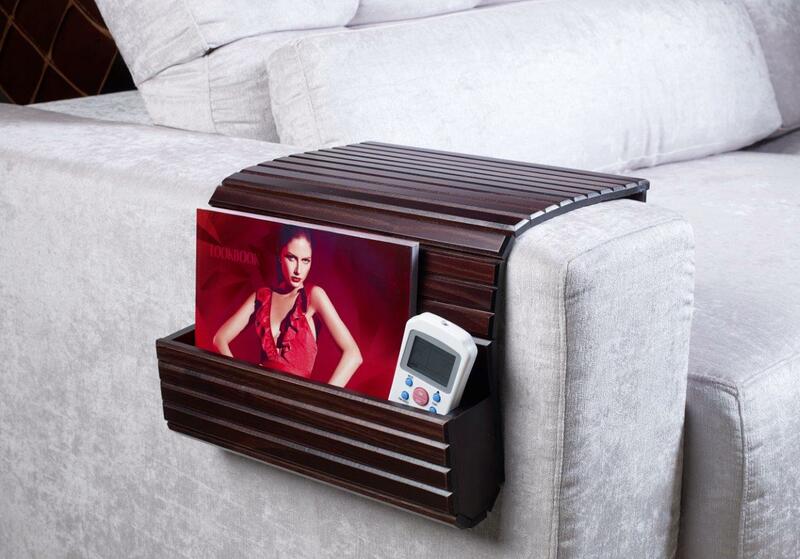 Store your remote, laptop and magazines and never worry about losing them again. Enjoy a snack or two while watching your favorite show. Dimensions: 17.5″L x 13.25″W Organizer Depth: 2″. Our Table Top model is great for those of you who like to enjoy a nice cold beer while watching your favorite show. Wait did you dry off the bottom of your bottle before putting it down on your Couchmaid? Worry not. The middle of this model is designed to absorb moisture. Can you believe that? Which other lap tray comes with something to cover up your messes? Plus it has the added advantage of a moisture absorbent center for all those messy drinks.Comes in 3 different finishes to match your style and flair. Welcome to Soffitta: Maker of the Couchmaid. © Soffitta USA / Maker of the Couchmaid. The world's best sofa tray / lap desk / remote holder.